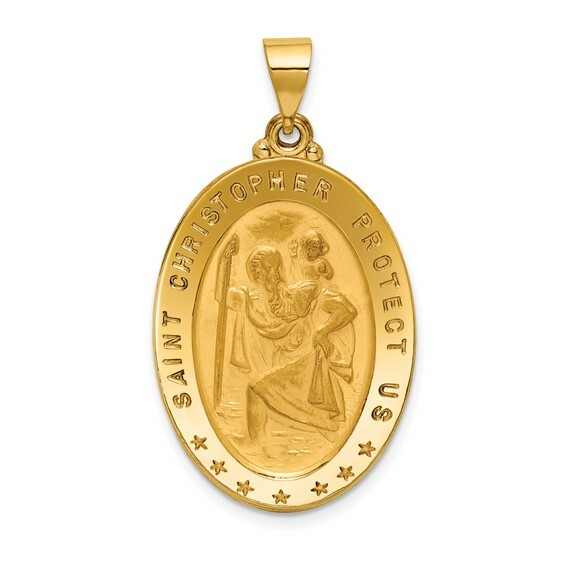 Polished, 18kt yellow gold Saint Christopher medal weighs: 7.09 grams. Item measures 3/4 inch wide by 1 1/8 inches tall without loop and bail. Die struck, patterned back. This item is slightly larger than a quarter. Made in the USA.